A perfect couple for a professional or design kitchen, a choice for quality, practicity and hygiene. 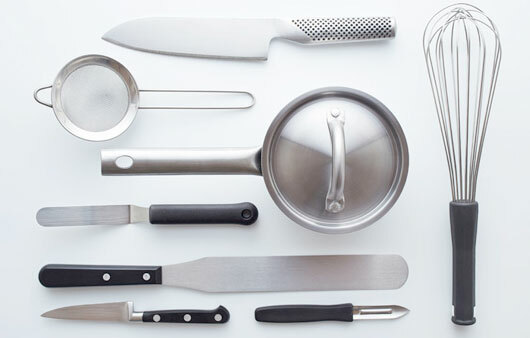 If you want to set apart an angle of your kitchen to position your high quality Japanese knives and the Global precise design, this set has been studied for you. 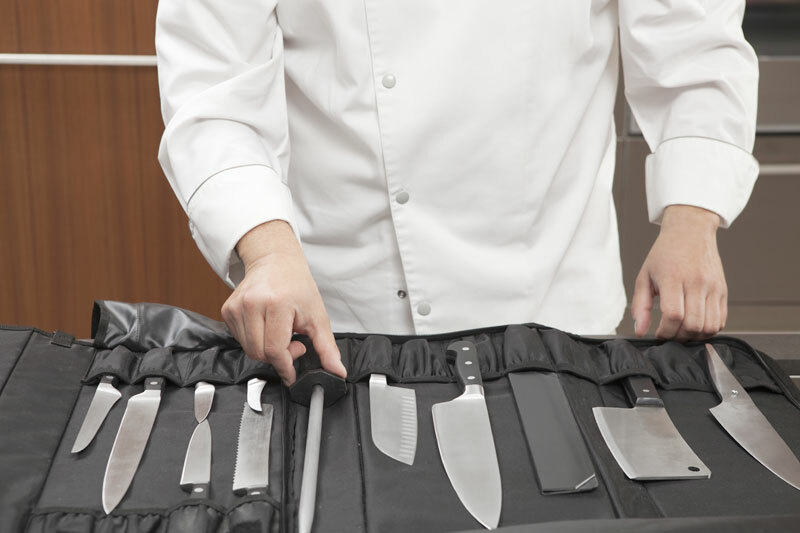 Global, a Japanese company, well-known throughout the world for their kitchen knives preferred by chefs and high level cooks, guarantees excellent performances of cut, lightness and a perfect handiness while preparing food. 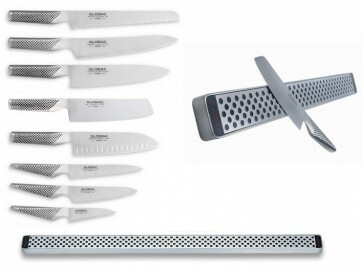 The magnetic bar of 81 cm to fix on a wall is provided with 8 essential knives for kitchen.